Have you found an online vendor selling Penny Blue XO? even my whiskey friends enjoy sharing this rum with me. According to the label this is Single Estate Mauritian rum. Since geography was never my strong suit I have to look up where Mauritius is. It turns out to be an island nation in the Indian Ocean about 1200 miles off the African coast. From some of the photos I've seen, it looks like a wonderful place to take a vacation. Now if I could only win a big lottery. I have to say from the outset that I find this rum delightful. It has a beautiful light amber hue and has an equally wonderful aroma. Swirling it in my snifter reveals excellent legs. My bottle is from Batch #1. I've seen Batch #4 reviewed online. I haven't a clue as to how they all differ. I'd love to find out. Maybe they'd send me some to compare? Oh well...one can dream. There is an oiliness to it that keeps in on the tongue long enough to enjoy the flavors. There is a distinct vanilla/caramel combination along with an oak buzz from the barrels in which the rum is aged. There's a slight pepperiness as well. Although it is 88.2 proof (44.1% ABV) there really isn't much of a burn. Rather there is an appreciative warmth in the back of the throat which lingers a bit before fading. It is quite smooth with just an appreciable tad of sweetness. I personally do not detect any sweetening with this rum. 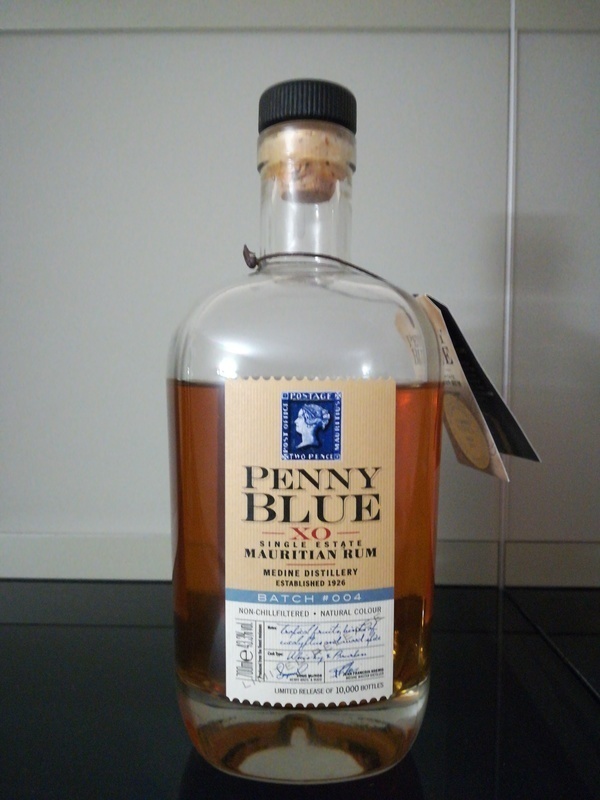 This is an excellent sipping rum and I recommend it. Sugar: 0 GPL. This is pure classic rum. No sugar or additives. Similar to the Mt Gay 1703 XO, but this rum has a natural sweetness with a trace of citrus from aging in cognac barrels. The wood, tobacco, honey,fruit, and vanilla are all present and balanced quite well in this mix. This rum has a strong flavour but is quite smooth with some bite. For those that don't like sweetened rum, this is a good one to purchase. Update Nov. 2016...Just tried Batch #4. Excellent. 9/10. If you like agricole rhum and cognac, I reccommend this. Trying this neat and I am having a hard time placing the aromas. I will try with a few drops of water soon. Mouth feels is what I would expect from a 44% ABV. Maybe the little water will change that. This is definitely a cognac aged rum, with a little whisky aging as well. I like it, but I think the cognac/whisky have a little too much influence. I generally prefer straight rum. Smells and tastes of cognac, whisky, and a touch of vanilla and honey. Nice at 44%abv, but not enough rum flavor for me to rate it higher. Vibrant oak and caramelized portobello mushrooms! Bitter chocolate and orange citrus! Bourbon vanilla! The nose is HUGE. The drink is dry and sharp almost stringent and bottled at 43.2 the heat numbs and lingers. I paired Blue Penny with Kiwi, black cherries, raw almonds, dried turkish apricots and extremely tart green just about to start blushing gravenstein apples. Fight fire with fire it's said and my oh my these acidic mates really brought out the warm smokey qualities of this rum. I'm a fan and though pricey I have found a place that out the door lessens my wealth by $53.99 which is great because I have seen it around the $70.00 mark at a so called 'mega store'. Would I spend $70.00 for this rum? The competition is fierce at that mark and not just for rum!! Options are a plenty why not spend a little more and drink with the angels!? Well Penny Blue skies shine bright and life is good as is. At half a century this is top of the peak sipping rum for the Scotch whiskey and dry rum lovers. Had Batch 002. I found it absolutely overwhelmingly flavored by the barrels and citrus peel, masking the supposed glory of this rum, its natural sweetness. I could still taste that undertone, but there was so much dominance by the barrels and peel that it led to a lack of complexity. This didn’t taste like rum and was not even close to worth its price tag. There was enough to make me want to try other batches but certainly not to pay for them. look/appearance is much lighter than most rims, very light, appears like scotch. Taste/finish is almost exactly like a highland scotch, malty, slightly Smokey without being peaty. Slight alcohol burn on the end. Honestly, would think this is a Scotch if tastes blind. I can’t rate this objectively as a rum, but 88+. Smooth with with a lasting aftertaste. Easy drinking. Pleasant fresh aroma. Worth a trip to Mauritius to buy a bottle. Tried batch 2, expected very dry stuff, but is was more to my taste with the molasses flavor playing bigger part. 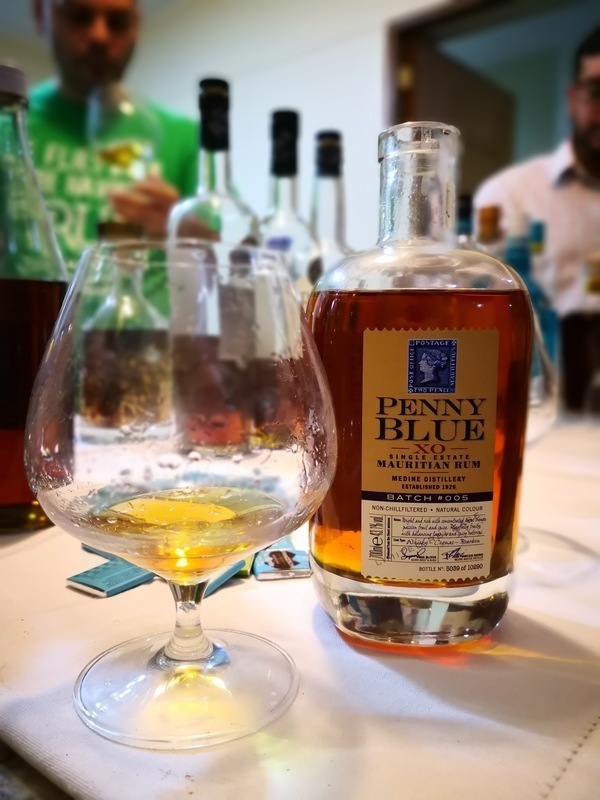 Pleasant amber rum, soft with aromas of wood, citrus, cognac and vanilla. The taste is sober, but good, nothing extraordinary. Agradable Ron de color ámbar, suave con aromas de madera, cítricos, coñac y vainilla. El sabor es sobrio, pero bueno, nada extraordinario. I am referring to batch no 4: nice bottle, amber colour; this is a complex and flavorful rum; for the aging process bourbon and whisky barrels have been used with a dominant proportion of whisky barrels for batch no 4. This can be easily recognized when tasting this rum. Tropical fruits and spice dominate the taste together with that hint of whisky-dryness. Very nice, fruity and long lasting aftertaste. From my view a very special rum. According to producer information no artificial coloring is used and the rum is not chill filtered which is very much appreciated. Very nice, smooth and tasty rum. Similar to cognac taste, I definitely recommend this rum. Had a chance to try Penny Blue VSOP and XO back-to-back and what a massive surprise how close they are to each other. The XO is just a tiny bit smoother than the VSOP, but the smell test is almost identical and the taste test is very hard to distinguish which is which. They both earn a 6 on my books. Von der kleinen Insel Mauritius, im indischen Ozean und nicht weit vom afrikanischen Kontinent entfernt, produziert. Ich hatte die Ehre diesen Rum in einem schönen Hotel direkt am Strand zu geniessen und es kann sein, dass die Umgebung und die Atmosphäre meine Bewertung positiv beeinflusst 😉. Ein wunderbar weicher Rum, sehr komplex in seiner Struktur und fein im Abgang ist. Nicht zu süss und hinterlässt einen Hauch Aprikose im Gaumen. Rhum mauricien de style anglais à base de mélasse. Une bouche sur la vanille, les fruits et les épices. Doux et suave. Très long en bouche. Je l'ai dégusté avec une tartelette au citron : très bel accord ! I taste vanilla and oak with bourbon at the back. Reminds me strongly of Mount Gay. Will have to get a bottle of the XO Mount Gay to compare side to side. Nose is quite strong. Sweet with a dry finish. After some dark chocolate a mouthful tasted a bit like acetone so that was a pairing that did not work! !